So I had to write a review to let others know about this wonderful podiatrist. Thank you for your kindness and patience through my appointments and procedures. Every person's body and feet are different - and so are the podiatrists treating them. When you start searching for the right doctor, it's easy to get overwhelmed. 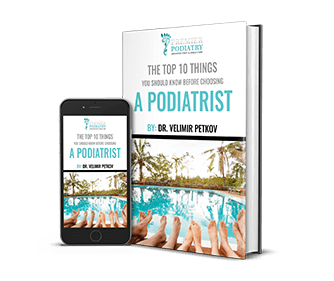 Download our free e-book "The Top 10 Things You Should Know Before Choosing A Podiatrist", and begin finding the best podiatrist for you today.